In one of those “small world” occurrences, I heard about this book from a friend I met through ultimate frisbee; he had been in contact with the author via Twitter. I read a description of the book and was interested; historical fiction set in the post-WWII era is right up my alley. I went to NetGalley and requested an advance reader’s copy (ARC), which the publisher, Algonquin, graciously granted, and I read the book over the course of a few days. Saburo, the titular third son of a Taiwanese family in Japan-occupied Taiwan, has been maltreated by his family ever since the death of his younger brother, Aki. Both his father and mother punish him physically, and he gets the smallest share of every meal, causing him to be diagnosed with malnutrition. He is bright but dreamy, and neither his teachers nor his parents appreciate his intelligence. One of his few tender experiences as a young boy is when he meets young girl, Yoshiko, during an air raid; he also experiences kindness from his cousin Toru, a doctor. Once the Japanese have been defeated, the Chinese come, and once again Taiwan is under another country’s rule. Amidst chaos, oppression, and death, Saburo finds Yoshiko again. Saburo’s older brother Kazuo makes advances on Yoshiko, but she and Saburo marry. Saburo vows to take the legendarily difficult exam to go to America and study at a university, despite the fact that, unlike Kazuo, he did not attend the best university in Taiwan. He studies on his own, with Yoshiko’s support, and passes; he then must leave Yoshiko and their new baby, Kai-ming, to go to America. Throughout the novel, Saburo faces many obstacles; some are political (his father is a politician; quotas from Taiwan to the U.S. make visas difficult to get; there is corruption on both/all sides), but many stem from his family’s unjust treatment of him. The difficulties Saburo faces because of his family are worse than any he encounters because of the political events in Taiwan; this has the twin effects of lessening the impact of important political events (e.g. the anti-government uprising in February 1947 and the “White Terror” that followed) and making the story more universal and Saburo more relatable. Once in the U.S., Saburo faces a new choice: to do as his family instructed, spending only one semester studying engineering (his talent and passion) and one studying pharmacy, to help with the family business upon his return, or spend all his time on engineering. His loyalty to his family in spite of their treatment of him is incomprehensible to many Americans he meets, who encourage him to put himself first for once and follow his dream of earning a Master’s in engineering and bringing Yoshiko to live with him in the States. Saburo is torn between the two value systems, but with Yoshiko’s encouragement, he finally makes his choice. 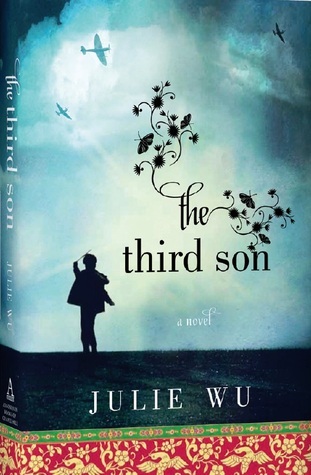 The Third Son is a well-written historical novel, an immigration saga that illuminates core differences between two cultures. Those who enjoyed Alan Brennert’s Honolulu or Julie Otsuka’s The Buddha in the Attic will almost certainly enjoy The Third Son. Looks interesting. I’ll have to get the book when it comes out.